Prior to submitting artwork, please send a of your entry (or entries) to judith5886@yahoo.com? We use these for promotion purposes. Receiving of artwork is from 12PM to 3PM at the Old Hyde Park Art Center. All artwork must be for sale in order to be judged for cash awards. Judging to be done by Heather Rippert. Any other questions, please email Cynthia at the email on the flyer or fill out the contact form on the site. We have all been impacted to some extent by the storms this hurricane season. The destruction in parts of Florida, Texas and the islands has brought home what might have been here, but for a jog. We all want to help those in need. 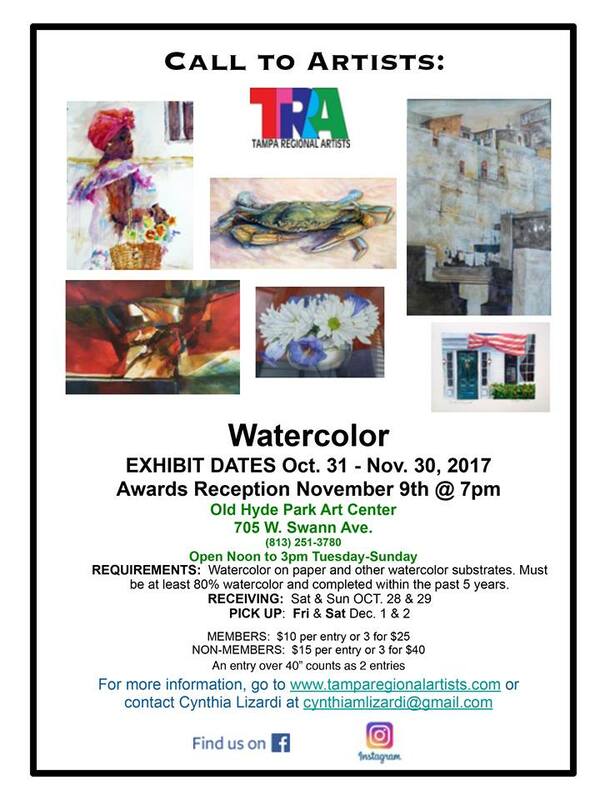 TRA is creating an art related fundraiser for this December. La Esperanza Exhibit will be from December 3 through 17. We wanted to focus on children impacted by Hurricane Maria in Puerto Rico, so proceeds will be donated to San Jorge Children’s Hospital in San Juan, PR. When? Receiving – Friday and Saturday, December 1 & 2, noon to 3 PM. Please pick up unsold work on Monday, December 18, noon to 3 PM or make arrangements with one of the contacts below. How? 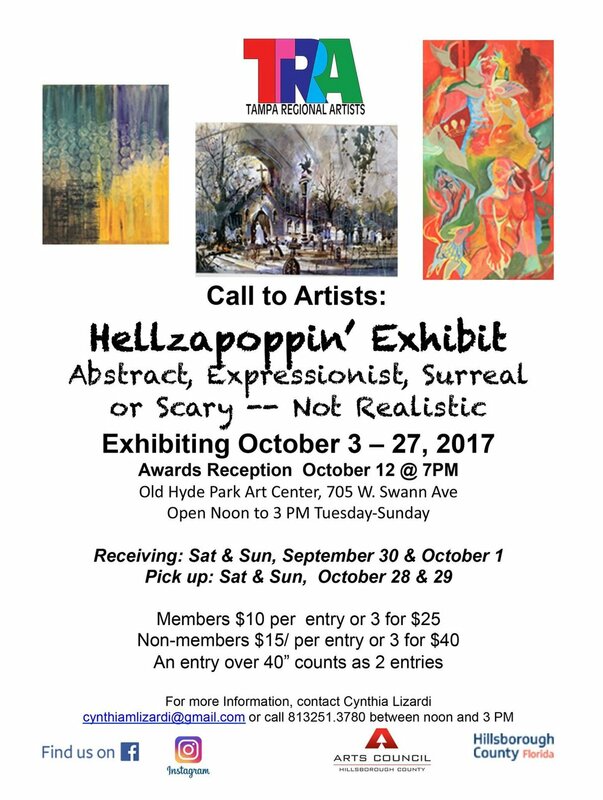 Come in with your ready to display artwork (and if required, pre-labeled or pre-tagged items) to the Old Hyde Park Art Center on one of the receiving days listed above, fill out some entry forms or an inventory sheet for us and you'll be good to go. (For more details see "Entry Requirements"). Artists will be asked to donate at least 50% of their proceeds to the benefit. We are not taking any entry fees or commissions on this fundraising exhibit. Artists can submit to more than one of the below categories. You can submit under the Hanged Art/Sculptures, browse bin items and other items, if you so choose just keep the category limits in mind. Please fill out entry/inventory forms for all work submitted. If you would like images of your work included in promotions online and offline, please submit jpegs of your work (before you frame them) to judith5886@gmail.com. Thank you for supporting our efforts to help San Jorge Children's Hospital! Identification: At receiving, each art work must have an entry form filled out for it to be placed on the back of the work. Please send us the information from your entry forms so wall tags can be typed and printed prior to your arrival. This will help us receive and hang your work as efficiently as possible. 2-D work must either be framed or finished on the sides (canvas only) and wired on the back so we can hang it, 3-D work will be displayed on a pedestal, table. If 3-D work is meant to be viewed on the wall, it must be wired for us to hang it. Hanged Artwork/Sculptures can be from another artist other than yourself (i.e. a deceased loved one who was an artist that gifted you some work and you'd like to give it a new home, or if you are dropping off artwork for someone else.) Just please note the artist that created the work on the entry forms. Please contact us if you are uncertain! Identification: each art work will have an entry form filled out for it to be placed on the back of the work. Please send us the information from your entry forms so wall tags can be typed and printed prior to your arrival. This will help us receive and hang your child's work as efficiently as possible. Other items, such as scarves, ornaments, bookmarks, jewelry etc may also be submitted. Please check with the information contacts listed below to make sure that your category of item may be included. Identification: Prior to receiving, multiple "other items" should each have a label/tag with the artist's name, title of the work (or description of item) and the price. (This will help us match sold items to an inventory per artist). Upon receiving, an inventory sheet must be filled out for all of these items per artist. Plywood – Madison Kenney has stockpiled plywood that artists can use as substrate. She can be reached at madison.mkenney@gmail.com or 813 470-9677. Reclaimed wood – Schiller Architectural & Design Salvage, 1002 No. Rome Ave., 443-4641, email - schillersalvage@gmail.com, contacts Charlie Schiller, Steve or Heidi. They will have scraps available for artists, as well as larger pieces of reclaimed wood for sale. Young artists are particularly welcome. Hyde Park Preservation Inc (HPPI) will be holding its annual Home Tour on December 3 from 1 to 4 PM. The focus will be on Fielding Ave (across the street) and the Old Hyde Park Art Center will be a featured stop on the tour. Typically the HPPI Home Tour draws between 700 and 800 attendees. Artwork will be for sale during the tour. This is a great opportunity to display your work to a very wide audience. TRA will be holding a Holiday Card Marking Reception on December 14th from 7 to 830 PM The reception will be open to the public, and free. There will be materials and instructions on how to make your own holiday cards using stamps, collage, inks and paints. Refreshments will be served. This should be a fun event giving all attendees a hands-on experience at making art. Judging to be done by Beth Kokol. Our annual animal kingdom themed show presents 102 pieces from local artists in Tampa Bay, featuring all media. The judge certainly had a challenge in selecting winners out of such a diverse mix of talent! 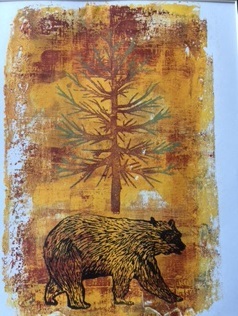 The judge for this year's Fin, Fur and Feather Show is local Tampa artist Joan L. Garcia. She is a member of the North Tampa Art League and Oil Painters of America. 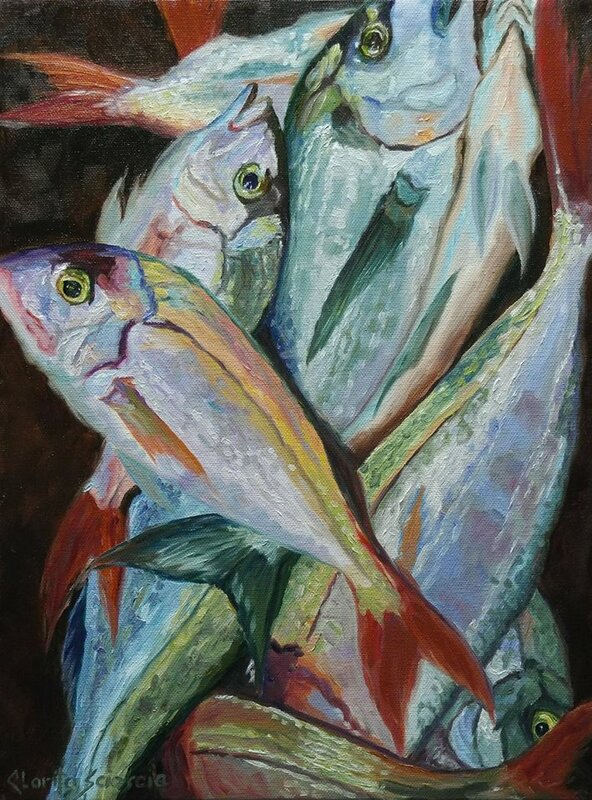 Joan's painting "Tampa Bay Tarpon" was selected for the first ArtPop Tampa, a competition organized by the Arts Council of Hillsborough County and hosted by OUTFRONT Media where winner's artwork was featured on billboards throughout the Tampa bay area. 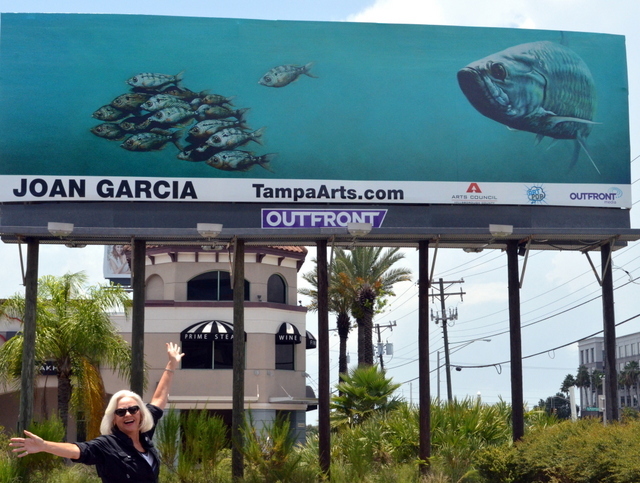 Judge Joan Garcia with her "Tampa Bay Tarpon" on an Artpop billboard. This is an exceptionally diverse show that accurately represents the title and subject matter. There is much to educate and entertain the art viewer. The various mediums present an exciting selection of the art talent in the Tampa Bay area. The first thing that garnered my attention in this painting was the depth of field. 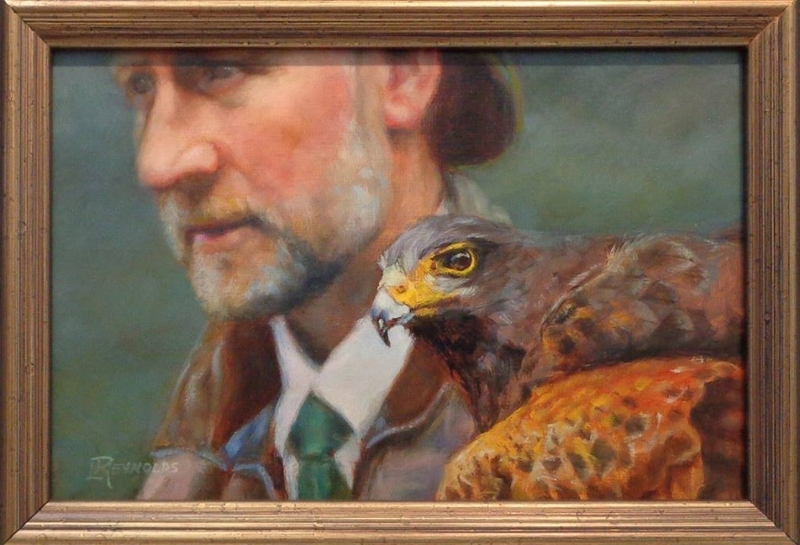 The artist was masterful in the use of defused “focus” to draw the attention to the bird. Then the viewer is attracted to the detail, accuracy and beautiful strokes of the bird itself. The warm color tone of the painting gives it an old world feel and makes it stand out among the surrounding works. This is a beautifully executed colored pencil piece. The various tones of black, blue and gray give a wonderful depiction of this particular bird. 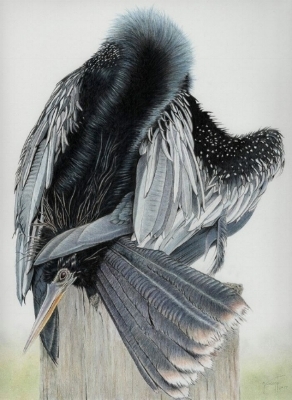 The detail of the feathers and reflected light show the artist’s effort to make an extremely accurate wildlife drawing. This small scratch board piece kept demanding my attention from the surrounding pieces. Of course the contrast of dark and light is striking, but the composition and detail captures the viewer’s interest. The delicacy of the strokes enhances the representation of the fur and the artist’s ability to capture the cat’s eyes in this medium is incredible. Beautiful strokes and movement in this painting. 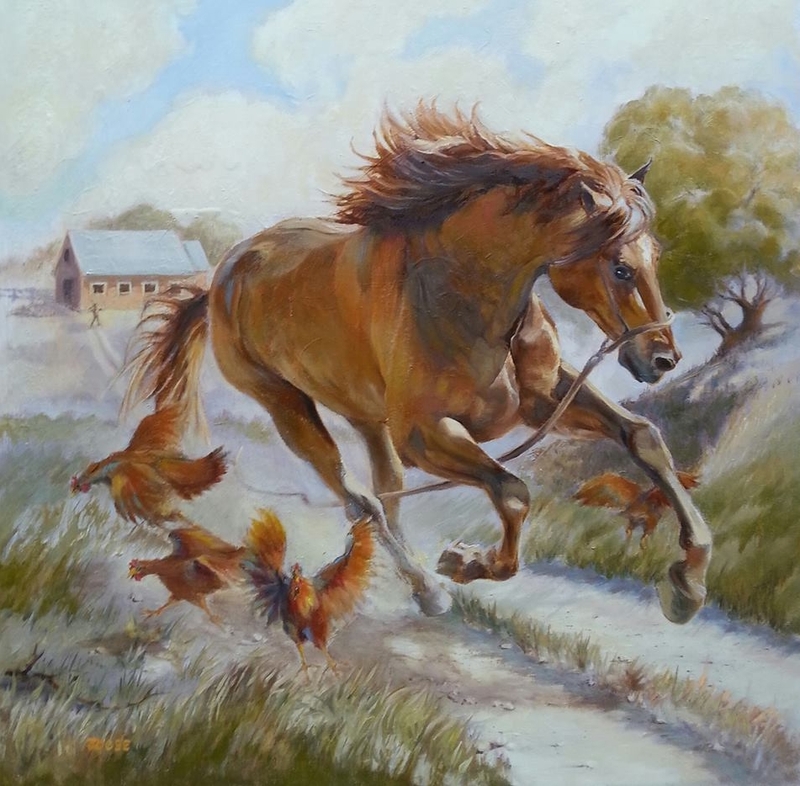 While the horse is the main subject the composition draws the viewer into the whole story of the painting. The value of the background versus the vibrancy of the main characters enhance their action. The bright primary color contrasts make this a compelling piece with great depth and good value. The painting/stroke quality gives it an interesting contemporary look. Not the ordinary photo of a wild animal. The digital enhancements enliven the cheetah. 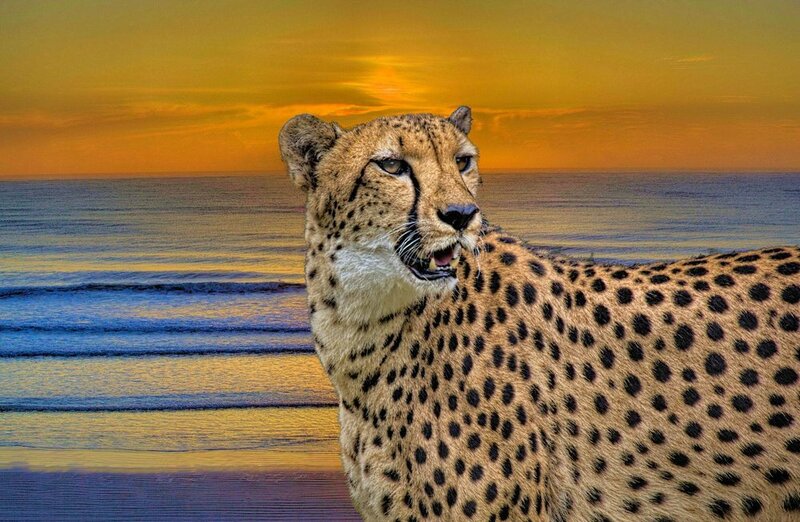 Also the horizontal background waves contrasts with the graphic nature of the cheetah’s coat. Beautiful use of color contrasts to capture the essence of this heron on the hunt. The movement of the watercolor keeps the painting alive around the white bird. The reflection of the bird provides a striking element of the composition. The use of light and value is exceptional in this painting and the elevated point of view sets it off from the rest. Though the vase is the strong color in the painting, the artist uses diagonals to draw the viewer’s eye to the cat. The graphic design of this small painting draws the eye to capture the fishes’ habits. Despite the partial subjects the artists keeps the viewer’s eye moving within the painting with the background actually providing the color. The unique monochrome of the subject as well as the artist’s ability to capture the comedic quality of this particular bird made for an interesting painting. The vibrancy of the watercolor strokes adds to the personality. The symmetry of composition, color contrasts and layering as well as the primitive look make a compelling painting. The strokes of this painting really intrigued me along with the color and value combinations.